There are lots of different moisturizers out there to choose from. But for some people finding the best moisturizer with natural ingredients is not always an easy task. There are some products that claim to be “all natural” or “organic” but then you look at the ingredients list on the back and notice one or two not so natural ingredients that really make a difference in a product. If you are looking for the best natural ingredient moisturizer that doesn’t have any of the extra added chemicals or preservatives that you sometimes find in beauty products check out our picks below to find the best one for your skin. This all natural and organic facial moisturizer is perfect for every day use on just about any type of skin you may have. Since it uses all natural ingredients and doesn’t have any harsh chemicals people with sensitive skin can even have great success with this moisturizer. The main ingredient in the lotion is star anise seed oil which does give it a slight fragrance that resembles black licorice. The smell is not overpowering though and dos disappear quickly. The reason why this essential oil is used is to preserve the freshness of the cream as it works as a natural preservative instead of including other chemicals into the cream. There are no binders or fillers in the cream which means this small container does go a long way. You only need a very small amount to start to really see the benefits from the cream. It works to really get down deep and moisturizer and nourish the skin making it look so much healthier. The cream is non-comedogenic and is not tested on animals. It is made of certified organic materials including organic aloe Vera, grapeseed oil, avocado oil, and more natural moisturizers. 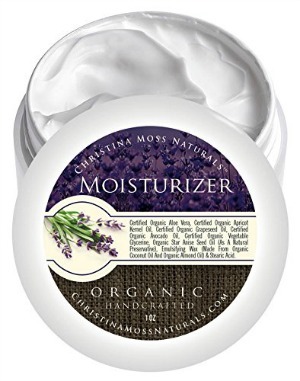 You can click here to read over a 1,000 reviews on this moisturizer or to check out the sale price. If you are looking for a moisturizer with all natural ingredients that you can use on your whole body this herbal moisturizer comes highly recommended. 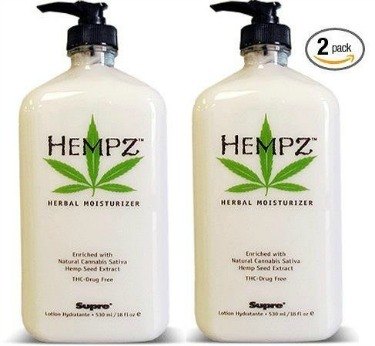 It is actually infused with natural and pure hemp seed oil to help nourish and moisturize the skin without the addition of any harsh chemicals or parabens that other moisturizers have in them. This lotion will keep your skin hydrated for up to 12 hours and can be used by all different skin types especially people with really dry skin. It also has Shea butter as well as ginseng to help calm and soothe the skin if you have really dry skin that is itchy or bothersome. The nice thing about this moisturizer is that you have an all natural product and you don’t have to worry about it leaving that greasy residue on your body.It does absorb quickly into the skin so you can use it in the morning and not have to worry about it rubbing off onto your clothing. This is a slight fragrance to the lotion that some people claim smells almost like “bubblegum” or a “slight strawberry” odor. It is nothing too overpowering as both men and women have no problems with the lotion. Click Here to read more about the lotion or to check out the sale price. Finding an all natural moisturizer that really works to nourish and hydrate the skin isn’t always easy. Although there are lots of lotions and face creams that claim to be natural most will use binders or fillers that can irritate the skin. Other moisturizers with all natural ingredients may not have the chemicals in them but they don’t really work that well when it comes to keeping the skin moisturized for over a few hours. Both of the moisturizers recommended above are the best ones out there to try for dry skin, sensitive skin and even oily skin. They have the natural ingredeints without the harsh chemicals and they are shown to work great when it comes to keeping the skin moisturized and healthy. What Is the Best Daily Moisturizer for Dry Skin? When you have dry skin finding the best daily moisturizer is really important. Some people suffer from dry skin in the colder winter months when it’s drier, but if you happen to suffer from dry skin all year long it can be really stressful to find that perfect moisturizer that will work for your skin all the time. Of course everyone will have different reactions to moisturizers, but if you are wondering what the best daily moisturizer is for dry skin here are some products that you should definitely try to see which one works the very best on your skin. These are proven moisturizers that work great on dry skin to help restore moisture to your skin without giving you a greasy appearance. This is one of the best facial day creams that you can buy that will help moisturize your face all day long without clogging your pores or make your skin extra greasy. The cream is designed to go on before your makeup or before you use any other type of lotion like sunscreen. It can also be used at night before you go to bed if you rather apply it then as well. You don’t need to apply a lot of the cream to your face for you to notice the results. It will help moisturize and hydrate the skin as well as nourish it so that it holds the moisturize all day long. It can be used daily to help with dry and cracked skin. It does have a very light fragrance to it but nothing over powerful. This day facial moisturizing cream is slightly more expensive than most drugstore brands but the reviews from users are awesome and you can find the cream for a great price at Amazon.com. If you are looking for a great daily moisturizer for dry skin that you can use all over your body, these particular lotion from Aveeno is a great choice. It won’t cost you a lot of money and best of all it is dermatologist recommended. It’s great for using all your entire area of your body after you take a shower or just before you get changed for the day. 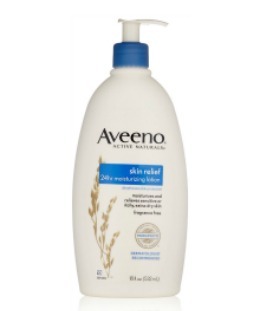 Aveeno makes several different types of lotions, but this 24 hr moisturizing lotion is truly the best. It will keep your skin moisturized for hours but is light enough that you can use it every day. It’s made for extra dry skin as well as helps with itchy or sensitive skin as well. It contains oat essence which helps to soothe and nourish the skin as well.The natural colloidal oatmeal in the lotion also helps form a barrier on the skin so that you don’t loose the moisture in your skin as the day goes on. It is fragrance free so it works great for people who have sensitive skin or who just don’t like any type of scent from a lotion. Click here to learn more about this lotion or to check the price. 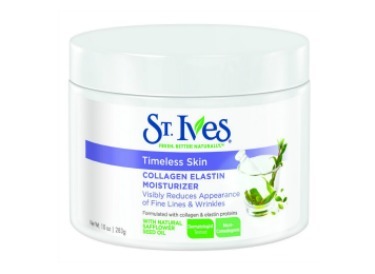 If you are looking for a good quality daily moisturizer that also helps lessen the appearance of wrinkles and fine lines on your face, then this moisturizer from St. Ives is a must-have. This is not only a moisturizer but it it also contains collagen and elastin proteins that work to reduce the appearance of any wrinkles or fine lines you may have. It helps improve elasticity of the skin so that you appear younger and fresher. So, you not only get a great moisturizer for your dry skin but you can also help with the aging of your skin as well. It also has safflower oil which naturally moisturizes your skin without having to include any harsh chemicals or other ingredients. The product is hypoallergenic and is definitely recommended for all skin types including sensitive and dry skin. It’s a light cream that will go a long way. It is recommended that you use it every day for best results. Don’t assume this facial moisturizer is just for “older” women as even women in their 20’s can benefit from the cream as it will help prevent wrinkles from forming as well. Click here to learn more about this moisturizer or to check out the sale price. When you have dry skin, finding the best daily moisturizing is very important. It can not only help you look your best but can also help make your skin healthier as well. The above options are the best place to look for a moisturizer to add to your daily. beauty routine. If you have dry skin, a good moisturizing face cream is a must-have product. But, if you have dry, sensitive skin you simply just can’t use any old face cream because of possible breakouts and irritations from the cream. What you need is a good quality face cream that won’t only moisturize your skin and make it look healthy, but you also need a cream that doesn’t have any extra added fragrances or chemicals that will irritate your skin as well. Instead of simply choosing some face cream off the shelf, check out the best face creams for dry sensitive skin. This facial cream is made specifically for hypersensitive skin. It works to hydrate the skin without causing irritations. 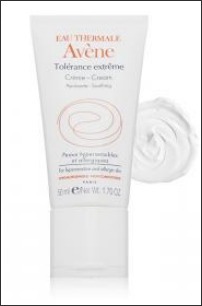 The cream is made of Avene spring water that helps to not only hydrate the skin but also helps comfort sensitive, irritated skin as well. It can be used as a daily facial moisturizer and you don’t have to worry about breakouts or irritations from using it everyday. It is non-comedogenic and has been tested by dermatologist. It is also paraben-free. This cream has a great texture that won’t leave your face greasy but will give you that illuminated, dewy look that brightens your skin. You can use this cream if you have red-prone skin as well as eczema and acne. It definitely is not recommended if you have oily skin as it will be too much moisture for your face. If you are looking for a face cream for your dry, sensitive skin that doesn’t only moisturize but also helps eliminate the appearance of wrinkles and fine lines, then this is a must-try cream for you. The cream is made from all natural ingredients and doesn’t have any fillers or harsh chemicals unlike other retinol creams. Instead what you get is a great moisturizing cream with vitamin E, vitamin A and other antioxidants that can help diminish the signs of aging while protecting your skin. If you have sensitive skin it can definitely be difficult finding an anti-aging face cream that won’t irritate your skin. This cream can be used daily as a moisturizer that also helps with the signs of aging and has a greater chance of not irritating skin than any other cream. Whether you are 20 years old or 65 years old, this cream can do wonders for hydrating your face as well as making it have that youthful glow. 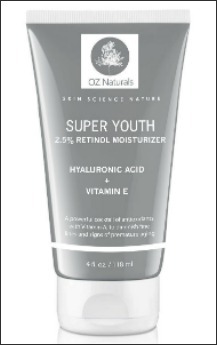 Click Here to buy OZ Naturals Super Youth Cream. This is another great face cream for dry sensitive skin that works to hydrate and soothe the skin with the main ingredient being spring water. This is a very light cream that you only need a small amount of each day that will leave your face nourished and hydrated but won’t cause breakouts or irritations. The cream is fragrance free and preservative free. It is physician tested and is suitable for people who may have rosacea or eczema. This cream is made more for sensitive skin especially if you suffer from any burning or redness from things like acne or rosacea. It actually helps to comfort your skin and provide relief from these problems while hydrating the skin as well. It’s not greasy at all and doesn’t have that heavy lotion aspect to it as it is more of a light cream which is why it is actually referred to as a “fluid”. 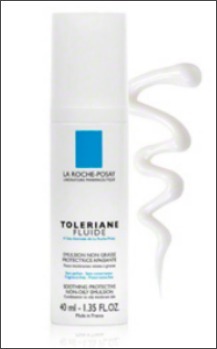 Click Here to buy LaRoche-Posay Toleriane Fluid. 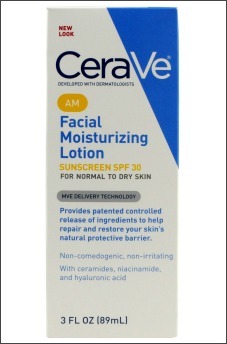 If you are looking for a less expensive facial cream for your sensitive dry skin, give this facial lotion from CeraVe a try. It is a bit cheaper in price than the above creams but still has really great reviews and is made to not irritate skin as well. This face cream can be used on a daily basis in the morning (hence the AM) and it helps to hydrate the skin as well as provides a natural protection barrier for your skin. The special thing about this cream is that it will release the ingredients over time which means it will work throughout the day instead of just lasting a short period of time. It even has SPF 30 protection so it will guard against the sun’s harmful rays as well as moisturize your skin. It won’t leave a greasy residue behind and glides on really smooth. It is definitely richer and thicker than the cheaper store brands but it doesn’t have a really big price tag attached like some of the other best facial creams. It is non-comedogenic, fragrance free, and non-irritating. You should remember that everyone’s skin reacts differently and you may find that one of the products doesn’t work the best for you. You may have to try one or two of the creams before you find that perfect hydrating face cream that leaves your dry sensitive skin looking amazing every day.